Providing animals with ways to get out of the wind during cold temperatures during the winter will cut down not only your feed cost but will help minimize weight loss and decreasing milk production. Building wind rows is a very good way to do this and it can be used for many years down the road. 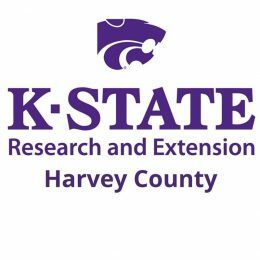 A heavy winter coat protects beef cattle until temperatures drop below 18 degrees Fahrenheit, but beyond that point, Bob Atchison with the Kansas Forest Service said the animals require additional feed to maintain body temperatures. The presence of a windbreak can help fix this problem. Atchison said windbreaks can reduce the spike in energy requirements cattle need to maintain their body temperature during extreme cold weather. A study was done in Montana indicating that during mild winters, beef cattle sheltered by windbreaks gained an average of 34 to 35 pounds per animal more than cattle in an open feedlot. During severe winters, cattle in feedlots protected from the wind maintained 10.6 more pounds than cattle in unprotected lots. Having a good windrow can end up saving you money in the long run. 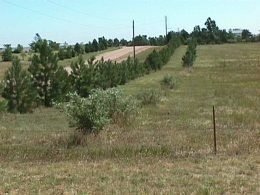 The Kansas Forest Service is now accepting tree orders from producers interested in establishing livestock windbreaks. Foresters also are available to assist with planning a tree planting. For more information, contact the Kansas Forest Service at 785-532-3300 or visit www.KansasForests.org.